For many years, it has been a legal requirement to only use blue detectable plasters in food preparation areas. 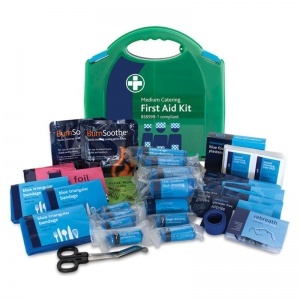 The Medium Catering First Aid Kit goes above and beyond this requirement by providing your workplace with a kit where every single one of the HSE approved products, even the dressings and wipes, are all blue. This fully stocked kit is ideal to use in any fast-paced and growing food preparation or catering business. 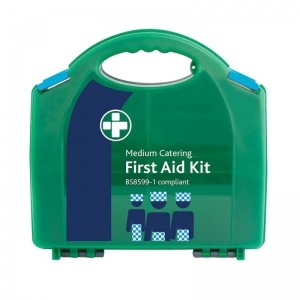 The only difference it serves from the standard Medium Workplace First Aid Kit is that each case contains blue detectable plasters, gloves and dressings to meet the stipulations set by the Food Safety Act (1990). 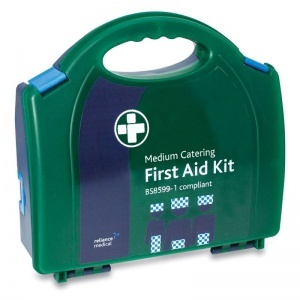 What is Included in the Medium Catering First Aid Kit? Containing everything you need to ensure that best practice is observed, this British Standard 8599-1 compliant kit is suitable for low risk (one kit per 100 employees) to high risk (one kit per 25 employees) sites. 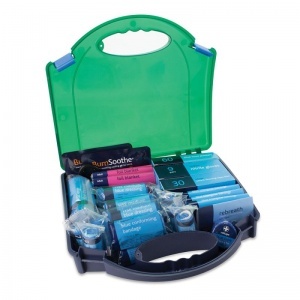 With one of these blue Catering Kits at your workplace, there is no better way to demonstrate to your staff and the authorities that you are taking your responsibilities as an employer seriously. 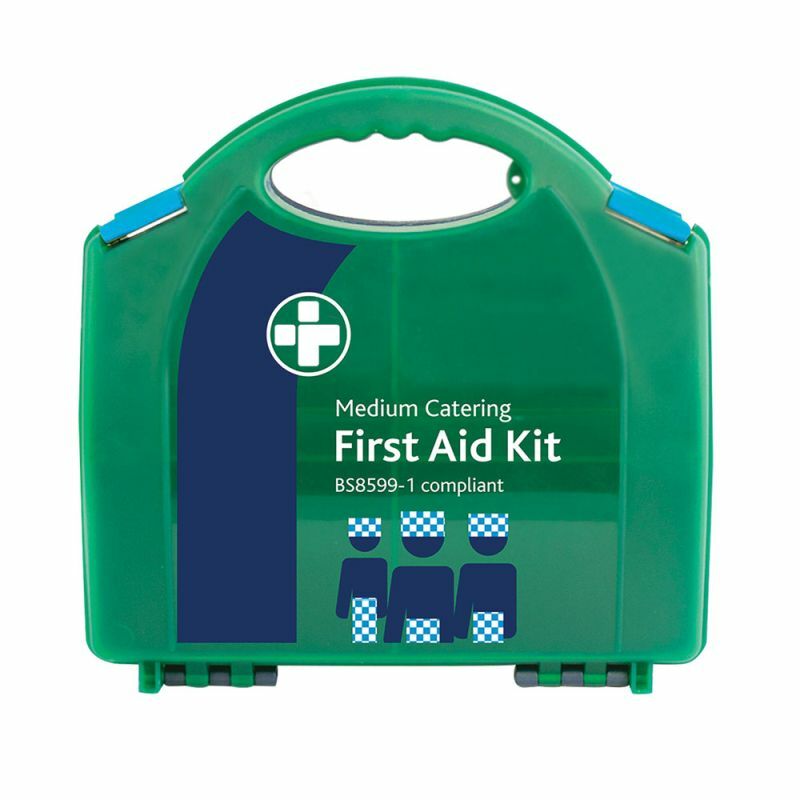 The Medium Catering First Aid Kit is usually dispatched via First Class Royal Mail and delivery should be within 1 to 3 working days.